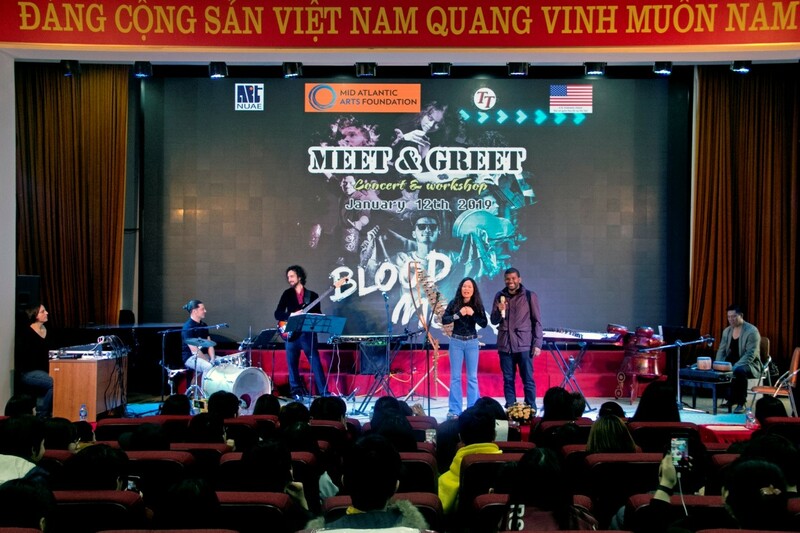 On 12 January 2019, the National University of Art Education (NUAE) organized a music exchange program between Blood Moon Band and the university’s officials, lecturers, and students. Attending the program, there were Assoc. 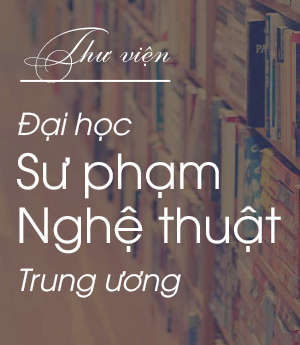 Prof. Dr. Nguyen Thi Phuong Thao - Vice Rector of the university, leaders of units, officials, lecturers and especially the presence of numerous students. Speaking an opening speech of the workshop, Assoc. 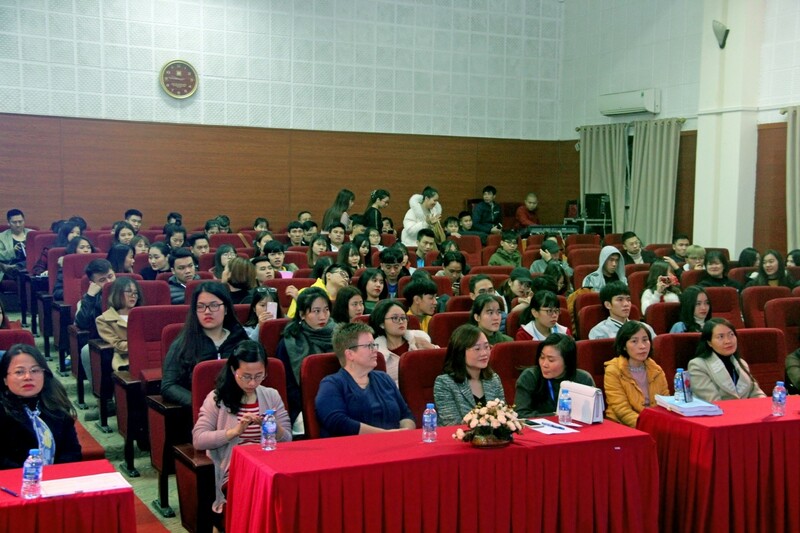 Prof. Dr. Nguyen Thi Phuong Thao expressed her pleasure to welcome artists in this music exchange program. She also said that the university always concerns on expanding cooperation with foreign partners, especially with artists from the United States, and deeply thanking the Embassy of the United States of America and the Blood Moon band. 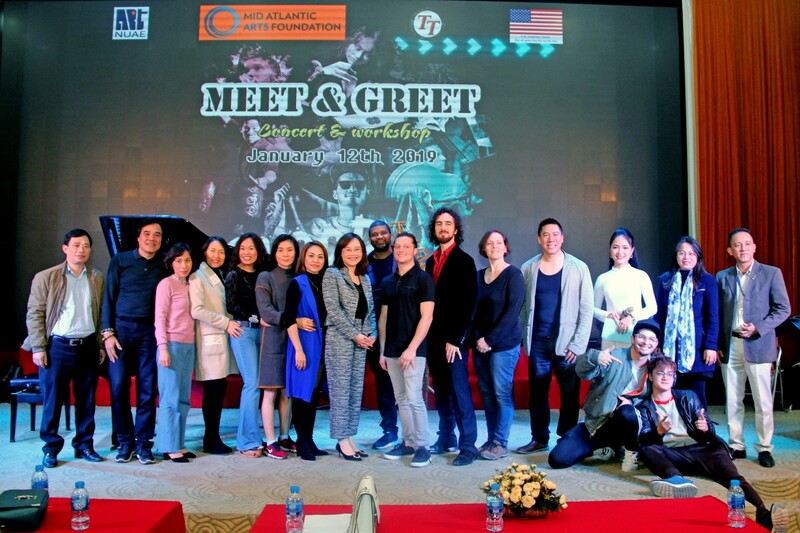 With this workshop, the artists of both sides will have exciting, impressive and bold cultural colors musical performances, this will really be a meaningful occasion for the United States and Vietnam to understand and connect closer. With a combination of modern music and national musical instruments, the Blood Moon band has created an unique character. Two different opposite genres through the talents of artists suddenly blended in strangely. Audiences clapped non-stop at the Blood Moon Band's enthusiastic performances. The sound of the zither, the monochord, the flock of strings mixed with the drums, the electric guitar has brought a feeling of new music. Going a long way, from the other side of the hemisphere, the artists have brought to the audience of the National University of Art Education an unforgettable musical performance; it has been a bridge to contribute to the friendly relationship between Vietnam and the United States.